Bonnie Carroll Kingsborough, age 70, of Mechanicsburg, passed away at UPMC Pinnacle Harrisburg Hospital on Sunday, April 14, 2019. Bonnie was born on Friday, October 1, 1948 in Harrisburg to the late Carroll Elmer Kingsborough and Pearl Mildred (Bricker) Kingsborough. Bonnie’s survivors include her sister, Linda Kay Nailor and her husband, William “Bill”, of Carlisle. Bonnie graduated from Cumberland Valley High School as part of the class of 1966. She began working at the Pennsylvania Board of Probation and Parole in 1967 and retired from there in 2003. Bonnie also served as a hostess at Baker’s Restaurant in Dillsburg for many years. She attended Silver Spring Presbyterian Church in Mechanicsburg for her entire life and taught Sunday School there for several years. Bonnie greatly enjoyed taking bus trips with her colleagues from the Pennsylvania Board of Probation and Parole. Those trips created wonderful memories of good times shared with her friends. She loved to read and would spend hours enjoying a good book. She was an avid crafter who could do any craft imaginable. Bonnie had a special place in her heart for animals of all kinds and doted over her pets. More than anything Bonnie was a loving and beloved sister and she will be deeply missed. All are welcome to join Bonnie’s family at her viewing on Thursday, April 18, 2019, from 1:00 p.m. until time of service at 2:00 p.m. at Buhrig Funeral Home and Crematory, 37 East Main Street, Mechanicsburg, PA 17055; with Celebrant Patricia Vogl officiating. Burial will follow in Mechanicsburg Cemetery in Mechanicsburg. The family sends their most heartfelt thanks to everyone at Fox Subacute Center in Mechanicsburg who so lovingly cared for Bonnie during her illness. Bonnie’s family has entrusted her care to Buhrig Funeral Home and Crematory in Mechanicsburg, (717) 766-3421. 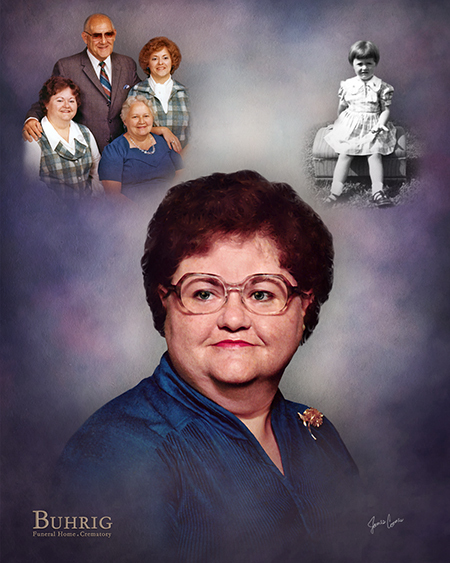 Read Bonnie’s full obituary, view her memorial video and portrait, and sign her official guest book at Buhrig.com.